One of Buffalo's best known landmarks: the 72-foot-tall St. Louis RC Church pierced spire, perhaps the only remaining pierced spire in the U.S.
Medina: a town in western New York, about --- miles from Buffalo. Quarries are no longer operational. Sandstone: a sedimentary rock formed by the consolidation and compaction of sand and held together by a natural cement, such as silica. Although harder than Onondaga limestone limestone, it's easier to work with it. Large sheets can be quarried. Feels gritty to the touch. Found in the Niagara Escarpment (e.g. Art Park). In the Buffalo area, there is sandstone present under the limestone, but it's usually too deep to be quarried. It is the most drilled subsurface in Erie, Cattaraugus, and Chautauqua counties because of deposits of natural gas in the rock. Red and white: In parts of the west side, including the Delaware Preservation District, there are some Medina sandstone sidewalks. Transportation to Buffalo: The Erie Canal ran through the middle of Medina. Buckingham Palace, The Brooklyn Bridge andBuffalo's Richardson Complex have a connection that is rock-solid, and that connection goes back nearly 2 centuries to fields across Orleans County. "It was discovered when the Erie Canal was dug through Medina here in 1824", says Orleans County Historian Bill Lattin. We are talking about Medina Sandstone. Lattin goes on to say, "By the mid to late 19th century, most of the quarries were actually in the Albion, Hulberton, Holley part of the county, but the first commercial quarry to open was here in Medina, started by John Ryan in 1837." "We're not the only ones, it happened to be quarried here first, so naturally, it became Medina Sandstone," adds Bob Waters, the President of the Medina Sandstone Society. And once you start noticing its tell-tale look, you'll see it everywhere, in its many colors; brown, pink, even grey. 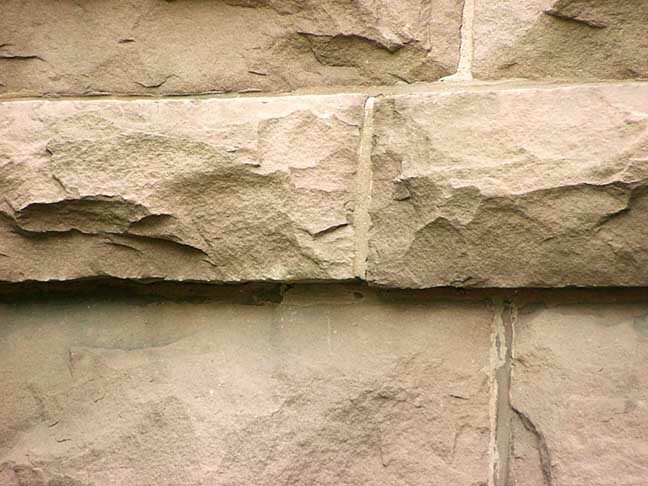 In fact, 3/4 of the stone used in public and residential buildings in the Buffalo area is Medina Sandstone. You'll find it in just about every old church in Buffalo, New York City's famous Brownstones, even London Bridge. What was the most common use? Well, take a quick ride around the First Niagara Center and your car's shock absorbers will give you the answer, paving stones. Lattin says, "Civil engineers particularly liked it because it always had grit, it didn't wear smooth like granite. So as paving blocks in streets, horses didn't slip on it." Medina Sandstone could be found paving the streets of Buffalo, Cleveland, even as far away as Havana, Cuba. Sandstone also built a tremendous economy in Orleans County. By the turn of the 20th century, 43 quarries were operating throughout the county, employing over 2,000 men. But within 20 years, it was the beginning of the end. By the 1920's, cement had become a popular, inexpensive substitute for stone and the quarries soon started shutting down. Despite the fact that there is still plenty of Medina Sandstone out there, this is the only surviving quarry and even it is rarely used.